This section begins by looking at ways in which governments can facilitate better access to information in both the public and private sector. This is an important factor in the e-governance equation. Information sharing is an essential activity for government for any form of e-governance program to succeed, because information provides the evidence of a correspondence (or lack of correspondence) between policy and reality. The particular emphasis herein will be on the growing influence of the Internet and all the new, emerging communication technologies through which services can be delivered in all sectors of society. 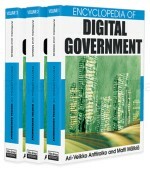 The role of the Internet and the growth of electronic democracy are briefly explored. Part of the rhetoric of both information management and public consultation is the notion of information sharing. This concept is, in fact, one of the central tenants of knowledge management. Despite these good intentions, however, management gurus (Drucker, 1999) find themselves continually admonishing both organizations and knowledge workers of the need to share more information. Is there an information gap between colleagues, so that work is impeded or prevented because co-workers don’t communicate with one another? And by the same token, is there an information gap between knowledge workers and the public, so that the public cannot make informed choices about important decisions?